Guatemala City, Guatemala – July 2nd, 2018 – Earlier this month, PROMECAFE together with other coffee institutes from Central America invited coffee&climate (c&c) to present our approach during their course “Agro-Meteorology: Monitoring tools and their impact on coffee producing regions of PROMECAFE”. The aim of the workshop was to understand the available meteorological information and how coffee institutes could utilize them to measure the impact of climate in coffee production. 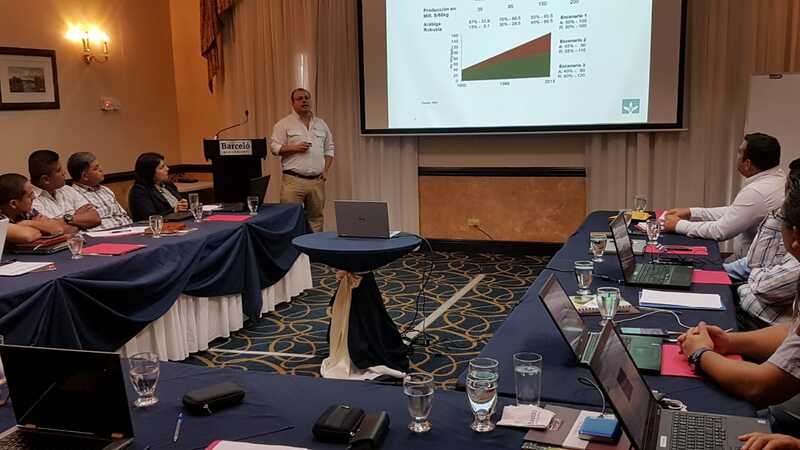 During the workshop, our colleague Pablo Ruiz (Co-Director Hanns R. Neumann Stiftung Americas) presented the c&c approach that enables coffee farming communities to effectively respond to climate challenges through a systematic risk assessment and the implementation of suitable climate-smart agriculture practices. Furthermore, concrete tools such as monitoring devices were presented to measure and record environmental variables in and around coffee plots. “Coffee is a really temperature-sensitive crop. Thus, understanding changes in weather patterns is key to successfully plan strategies to adapt and mitigate to climate change. 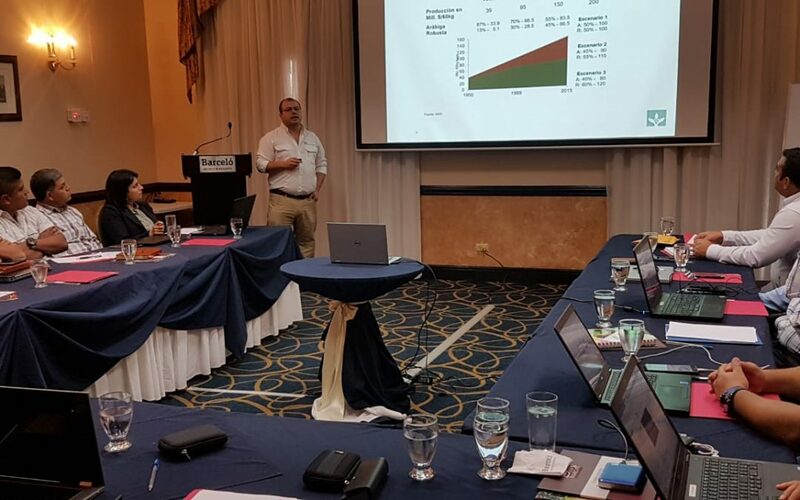 Tools like these presented in the workshop of PROMECAFE provide useful data that can be used by farmers and local partners”, states Pablo Ruiz. PROMECAFE is a research and cooperation network formed by coffee institutions of Guatemala, El Salvador, Honduras, Costa Rica, Panama, the Dominican Republic and Jamaica. 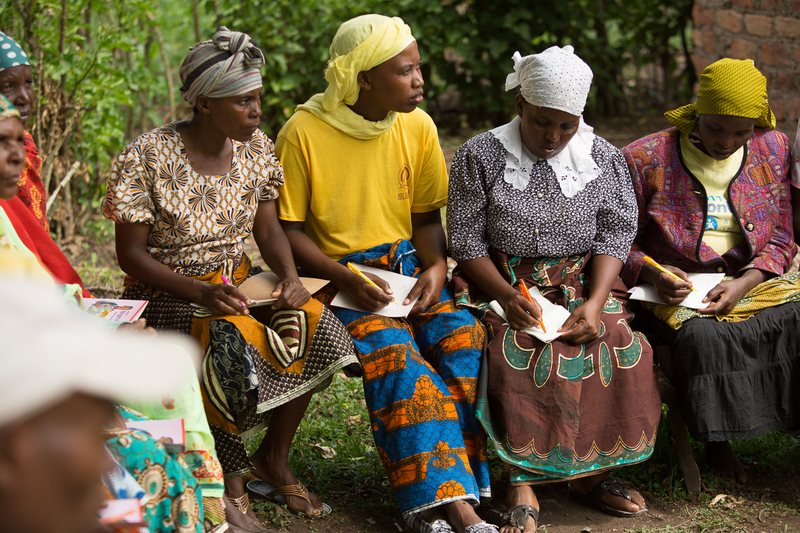 For 40 years it has contributed to improve and modernize coffee production in these countries, combining efforts at the regional level for cooperative, participatory work, and carrying out coordinated actions within strategic alliances. The initiative for coffee&climate is cooperating with PROMECAFE to exchange knowledge and to locally promote the advantages of using the c&c approach and further anchor the topic of climate change in Central America. Taking advantage of the good relations and to promote the South-South exchange, PROMECAFE is planning a trip to c&c sites in Minas Gerais (Brazil). The tour is planned for the beginning of August with the aim to exchange information and experiences on coffee production between the research network, c&c and its implementing agent Hanns R. Neumann Stiftung. 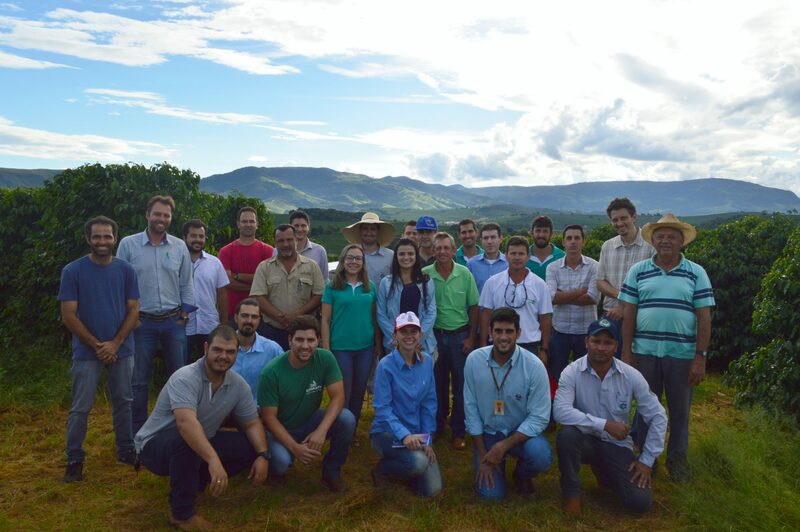 The planned trip of PROMECAFE to Brazil took place and knowledge on various climate-smart agriculture practices was successfully exchanged. Both parties were thankful and are looking forward to evaluate further partnerships and activities.